You know, it's been 5 days and I haven't received any birthday gifts. Don't start chiding the poor hubby for not giving me anything, for he had combined Valentine's Day, anniversary, birthday gifts etc altogether during our Europe trip last December. Actually he didn't say that but I would treat it as that for I had really burnt a hole in his pocket then. I've received cute birthday wishes in the form of texts and photos from friends. A good friend even sent a video through text of her singing me a birthday song. My bestie also sang me a specially-tweaked-by-her birthday song over the phone. It is all these intangible "presents" that I really treasure. 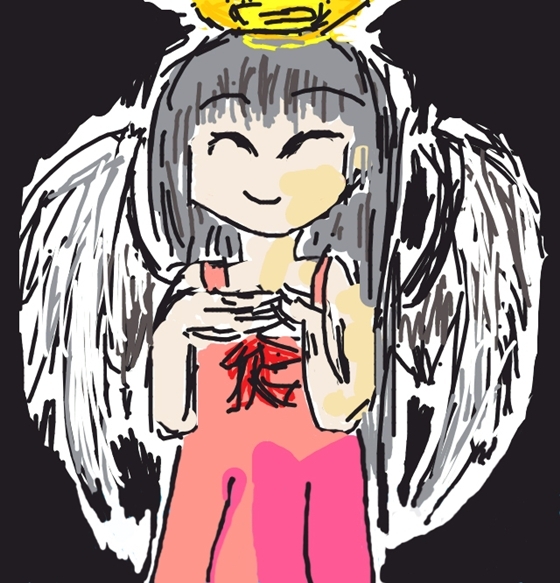 Another intangible present that completely made me go "awwwwwwww" came in the form of a drawing in the popular mobile app game, Draw Something. 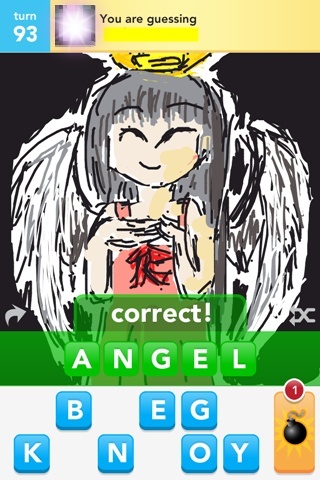 A friend of mine who wishes to remain anonymous drew me in the form of a human angel. Adept at anime drawing, said friend decided to draw something which is representative of me. She has been touched by the help I rendered to my good friend Cyn and my god daughter, Charmaine during the latter's cancer days. 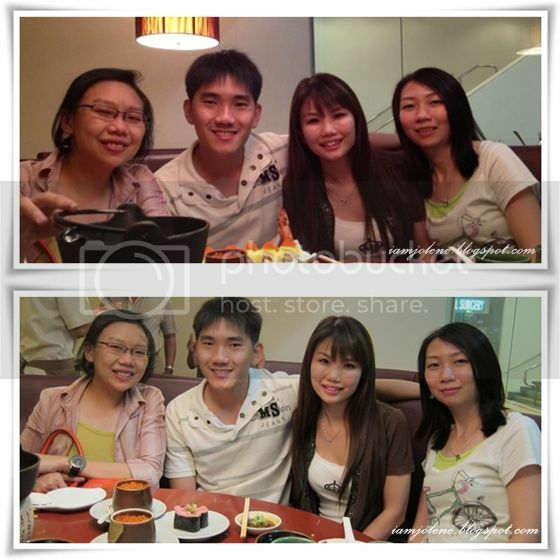 She has also been following up on the stories and updates through the media and Charmaine's blog as well. She has gotten to "know" me a lot more from my blog and Facebook and maintained contact. Even though we have known each other for almost ten years, we weren't those kind of close friends who would meet up. Nevertheless, we have all along gotten very well and we would always have endless things to chat and laugh about whenever we meet. She told me that she likes me for being kind, giving my all in helping people I love and spreading positivity around, just like a human angel on earth. I think she has been really kind in her words coz I'm merely doing what I would do no matter what the situation is. I'm not always an angel and I do react badly at times (especially when provoked first). However, I would always make sure I learn something from every situation and not to continue sinking into the devil's path. That said, I'm really touched by her drawing. She even photoshopped and gave me a full version of the drawing without the word as the word and letters portion takes up quite a lot of space. I had to sit down and watch her whole drawing process for about 15 minutes as I could not bear to type in the last letter to skip the whole process to the end. While watching, I snapped loads of printscreens and made an anigif file of the screenshots combined. My 2nd sis had been BUGGING (and I mean BUGGING in caps) me to sign up for a Pinterest account. She knows I would definitely love it since I'm always sharing inspirational photos on Facebook. I know I would definitely love it too ever since I saw many of my US blogger friends using it. And I know that once I have an account, I would be pinning my way from sunrise till sunset. So when I managed to get past my obstinacy of upgrading good old Facebook to timeline, I started pinning my way... not from sunrise to sunset but for the past few hours. 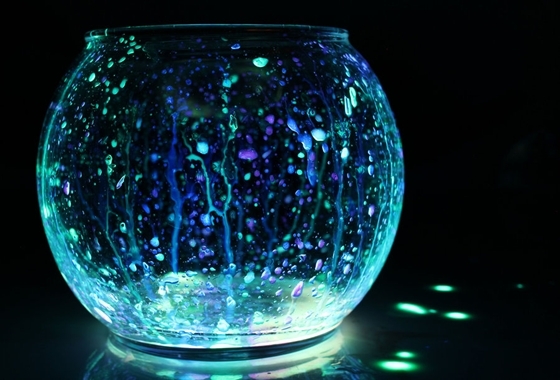 I'm gonna try this trick when I get my hands on some light sticks and glitter dust. Let me know how yours turn out if you are trying this too. Any of you blogger friends and readers on Pinterest too? Click on the button below to view all my boards and if you like them (or me... lol), feel free to follow! 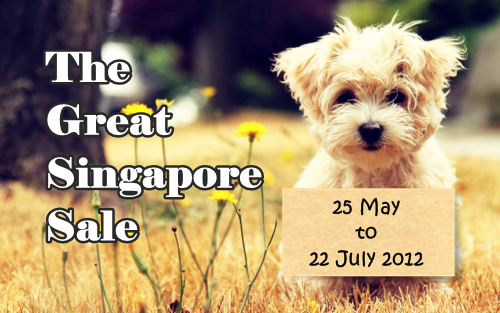 In conjunction with the Great Singapore Sale, Fleur Faerie is offering a store-wide 20% discount. Simply enter the code FFGSS20 upon checking out. 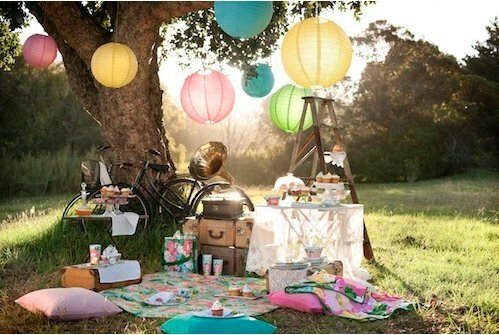 Here are some items for summer love! For international buyers, please contact us at shop@fleurfaerie.com before placing your orders. PS: Thank you all for your birthday wishes. It's been a busy weekend and I'll catch up with all of you soon! It doesn't feel like my birthday but it is. I would be spending it meaningfully later. Early in the morning, I would be accompanying my mother to the hospital for a check-up. My cute mum has even forgotten that it would be my birthday till I reminded her. She declared that everything would be on her later when we go out. This is a nice change and I wonder what we would be doing after the check-up. Then from evening till night, I would teach my classes. I doubt I would get angry with these teenagers. For the past 8 years or rather, for as long as I started working, my birthday would always fall on my off day. If it doesn't, I would apply for a birthday leave and either go out or simply slack at home till the appointed meet up timing with friends or date with the hubby. As I was in the teaching line (still am, albeit part-time), there is a tendency that kids would make me angry and I simply refused to get angry on my birthday. Call me pampered and prissy; I like to do it this way. So there you go, a rather nondescript birthday considering it is my big X0 but I'm contented. 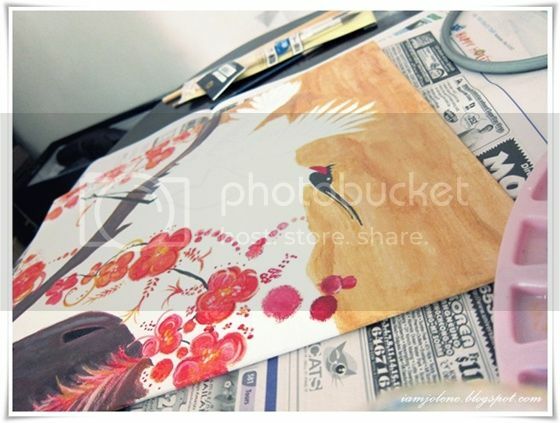 Earlier in the afternoon, I went over to one of my bimbo sister, Gera's house for art jamming. She picked up painting as a hobby a while back and would every now and then be searching for like-minded friends to paint with her. Unfortunately, not many people are into painting. I, on the other hand, had wanted to sign up for those few-day courses at one of those art schools or to sign up for those tea-time social painting. It so happened that one fine day, we were sharing about painting as a hobby and found each other as company for painting sessions. It was a win-win situation. 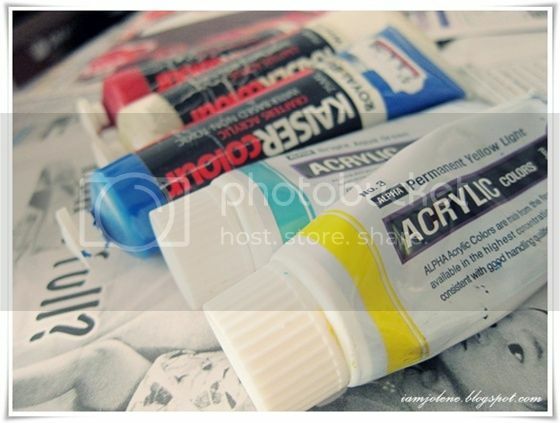 She would guide me the basics of acrylic painting and I would be her impetus to finish her painting. 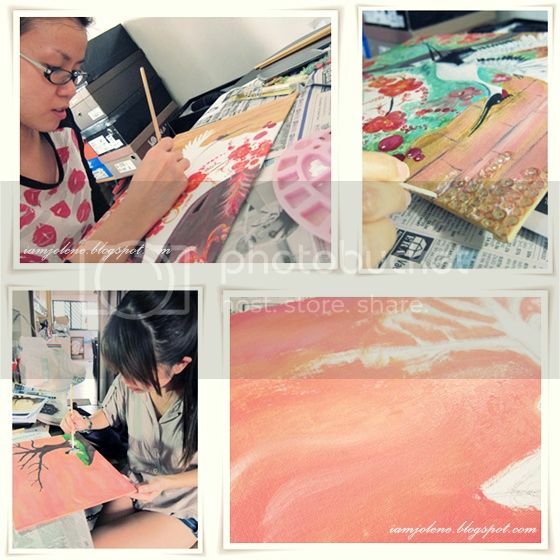 It is always more fun when you paint with someone. 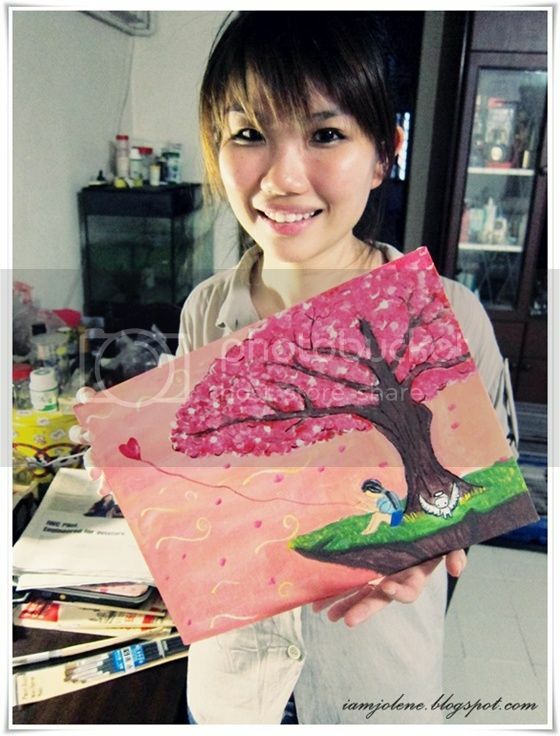 This was the painting which she had put on hold for more than half a year. I could already see the beauty in its incomplete state. 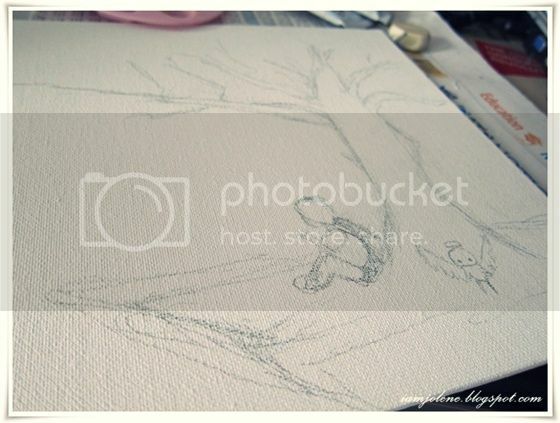 I started my artwork by doing a rough sketch on the canvas with a wooden pencil. I did not exactly know what I have in mind. 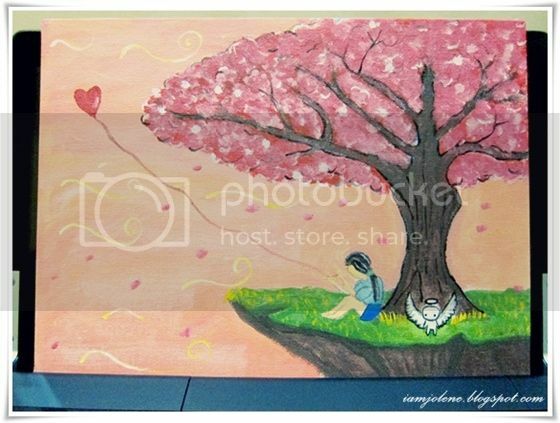 One thing for sure, I knew I wanted to paint a tree, an intriguing tree with a whimsical feel and that was about it. We worked mainly with primary colours and mixed to get shades of brown, red, pink, peach, beige, green and so on. And finally, us with our masterpiece! 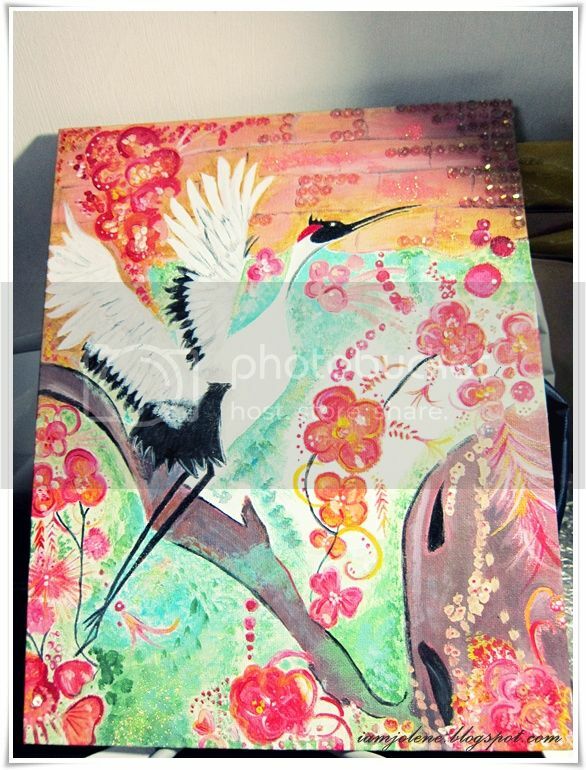 I really LURVE Gera's painting! I love the gradient of grey on the crane's wings which you can't really see from the photo as the light was shining overhead. I also love the swirls of colours on the flowers. Here is my amateurish painting. It isn't what I have envisioned (no intriguing tree, no whimsical feel). However, I'm still proud of myself as this is my first attempt at acrylic painting on canvas. After painting and having our dinner, we chilled around in her room. 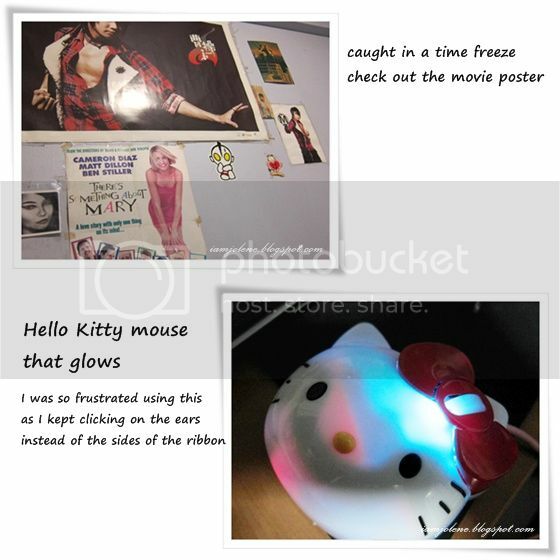 Being my primary school friend, I've known Gera for almost 20 years and I always feel like I'm frozen in time whenever I look at some of the stuff in and around her room. I could see objects from primary and secondary school days amidst more contemporary items. I think it would be cool to name my art piece and I'm still coming up with some titles. Some of my friends asked for the interpretation of this painting (significance of balloon, that mysterious little white thing etc). It is open for interpretation and instead of providing my description here, I would love to hear what you have to say. Any positive or negative feedback is welcome too! 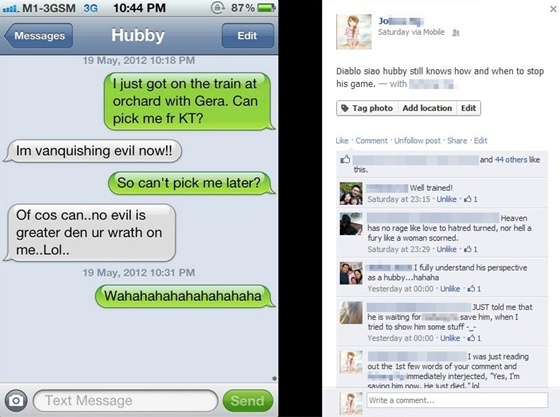 I was on my way home from a lovely gathering with my bimbo sisters and I texted my diablo-crazy hubby to pick me up from the MRT station near our place. tête-à-tête Volume 4 -- Virtual and Reality, what counts? kh: Evil has been unleashed and all you could think about is makan? Any Diablo 3 widows out there to shake hands with me? I'm finally current with my blog updates! Pops champagne! 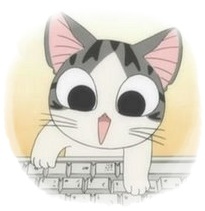 Yesh, my mummy is on Facebook! 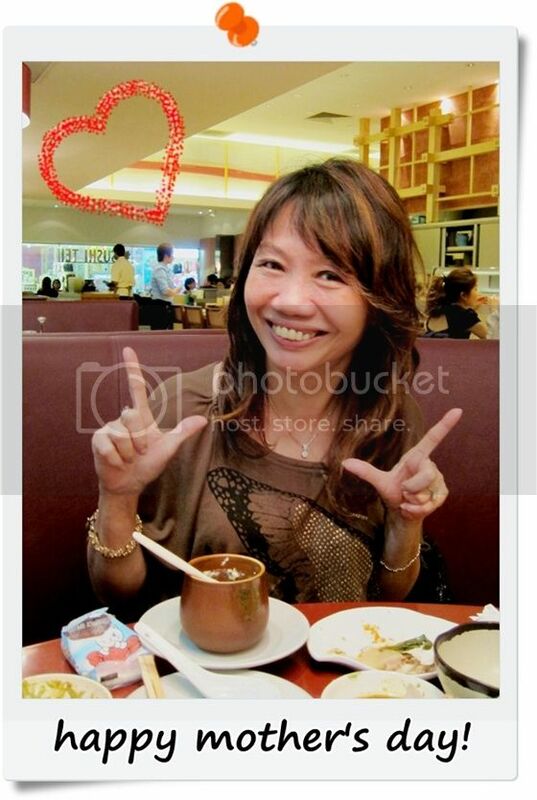 Say hello to my beautiful and cute mummy. 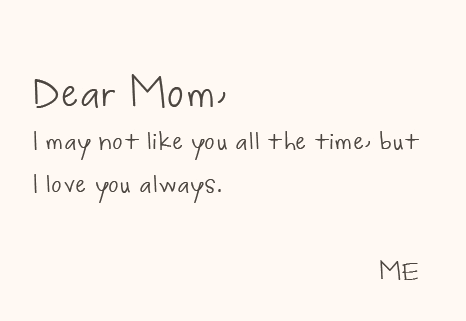 Like most mothers, she is rather annoying at times and I do not always LIKE her but I LOVE her because she is my mother and she is really very cute sometimes. 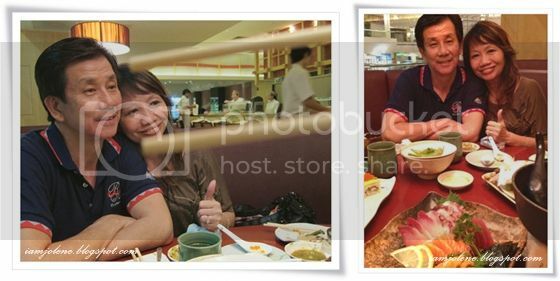 We had an advanced Mother's Day dinner on a weekday for my mum at Sushi Tei (Thompson Plaza). 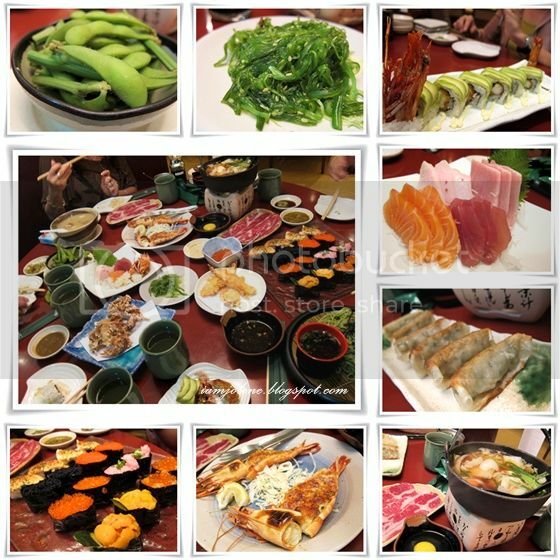 Among all the Japanese chain of sushi restaurant, we love Sushi Tei the best. Almost everything on the menu tastes great. My mum was so patient and cute that day. She is somebody who is seldom on time for appointments. 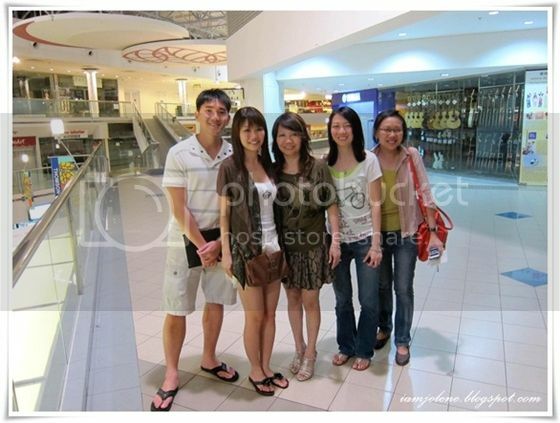 That evening, she was out with her friend and so she reached the mall one hour before our scheduled meeting. She happily walked around the boring old mall and even bought clothes and groceries without getting impatient, grousing or hurrying us like what she would usually do. "Wah Ah Nia ah, your pronunciation then (damn) bad leh." Family portrait minus eldest sis who was late. 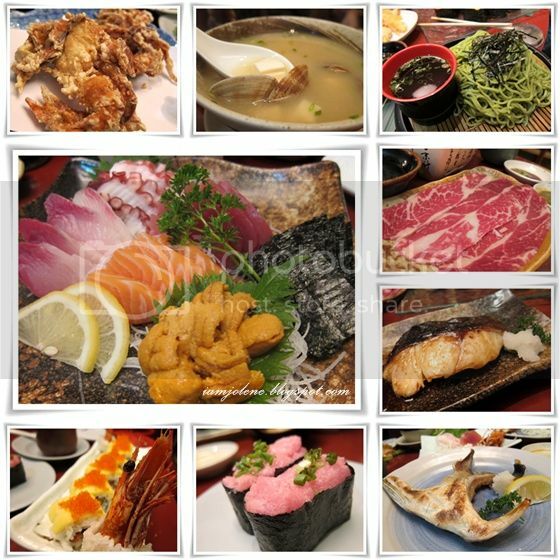 As my parents were clueless about what to order from Sushi Tei, kh did most of the ordering for everyone. My parents were shocked at the amount of food he ordered to which we assured them that we could definitely finish everything. The dishes kept coming and we had no space for them. Do you know why? 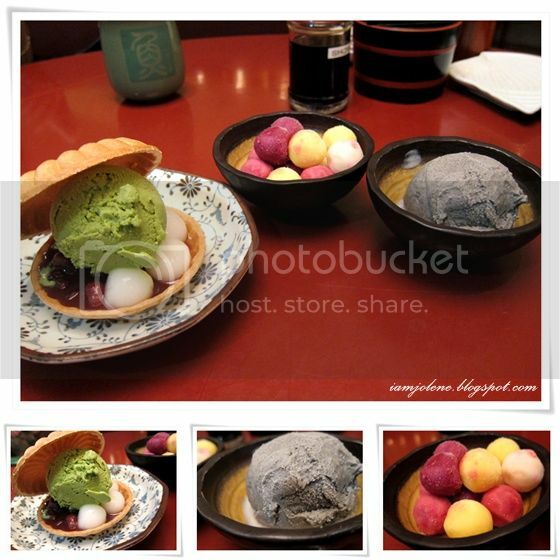 Coz both my sisters and I would be armed with iPhones and camera respectively to snap photos of the food. It is my eldest sis habit to upload them onto Facebook on the day itself while my second sis would use Instagram to edit them before posting on her Twitter or Pinterest. 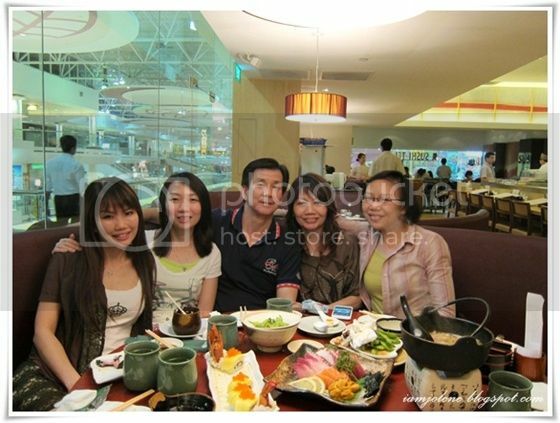 As for me, the whole family would know that I take months to edit and upload them onto Facebook. 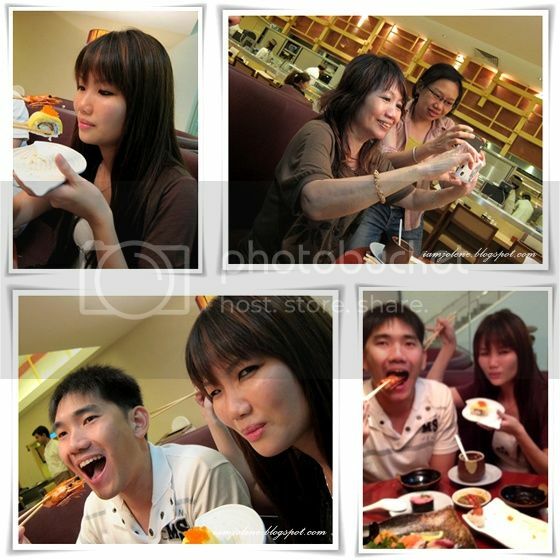 In the past, my parents used to complain about us taking so many photos of the food before eating. 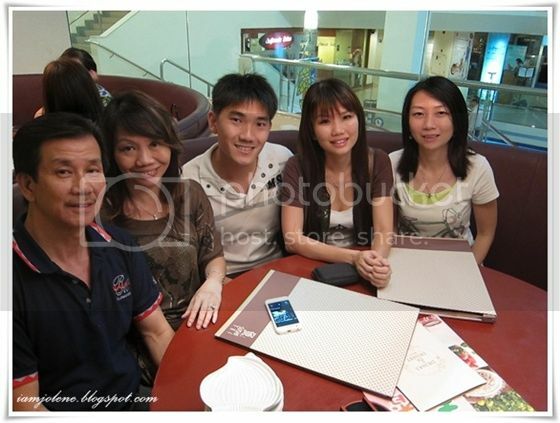 Now, my mum has joined the bandwagon; She whipped out her LG to snap photos too. Apparently, whatever kh ordered wasn't enough for we had Round 2. 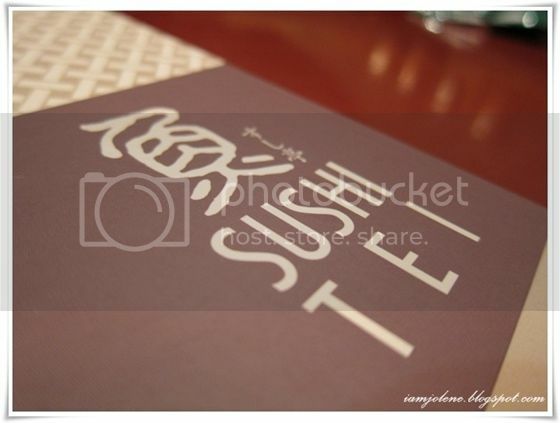 I lurve every single dish we ordered but my ultimate favourite would always be cod fish in teriyaki sauce. I could eat that with rice alone every day and not get sick and tired of it. 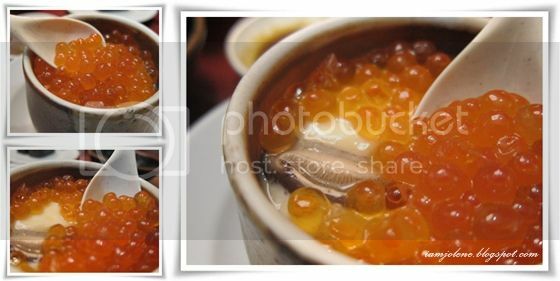 An item worth mentioning is the Ikura Chawanmushi. My 2nd sister loves Ikura a lot. She loves biting into Ikura with salty liquid bursting out from each "bubble". I'm not an ardent fan of ikura but I do love the combination of ikura and chawanmushi. Another item worth some story space here is the Uni (urchin). In case you do not know how an urchin look like without its spikes, it is the mash of orange thing (see picture below) at the bottom of the platter. That mash you see there cost SGD$38! Kh loves urchin; I, on the other hand, deem that urchin taste like drain (the smell of drain... duh). My parents had never tried urchin before and so kh and my eldest sister ordered that. I kept telling my parents that it is an acquired taste and they may spit the whole thing out. Surprisingly, they loved it as they felt that it tasted like "sea hum" (clams). 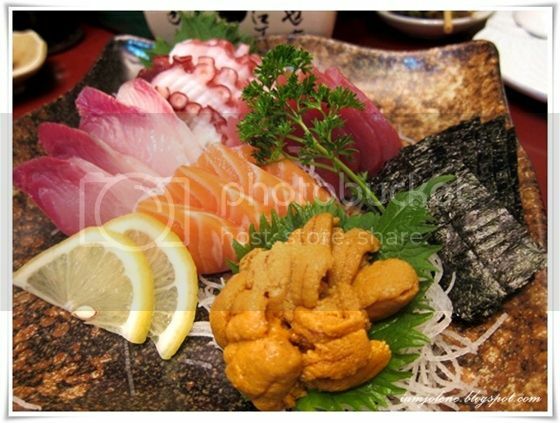 I decided to give urchin another try and boy I love the urchin at Sushi Tei. It was really fresh with no drain-taste at all. While my eldest sister tried to snap a picture of my dad and mum with her iPhone, kh decided to be cheeky with my candid shots of them. 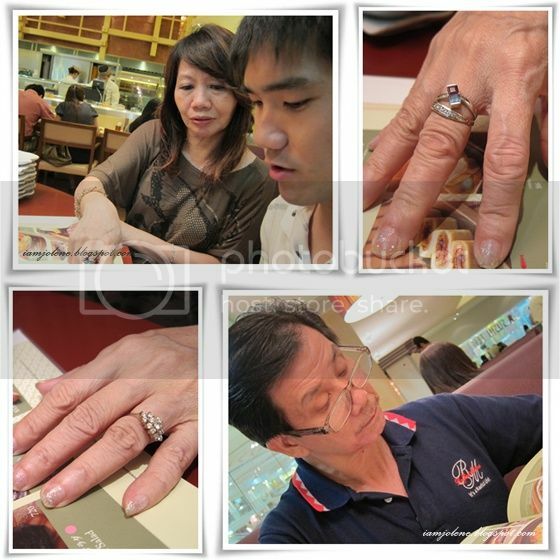 He used his chopsticks to "pinch" my mum's head. As usual, I love to snap individual candid pictures of everyone. My mother refused to coorporate and as soon as she knew I was taking candid shots, she would pose with her peace sign. I would give her a face and put my camera down, refusing to snap. She finally decided to be more creative with her hand signs. Though she wasn't being candid, I relented and snap as I love how cute she looked then. Trouble never fails to brew whenever MY individual shot was taken. If kh was behind the camera, he would make sure he snapped me at my ugliest. If kh was not behind the camera, he would make sure he do something funny in the photo. 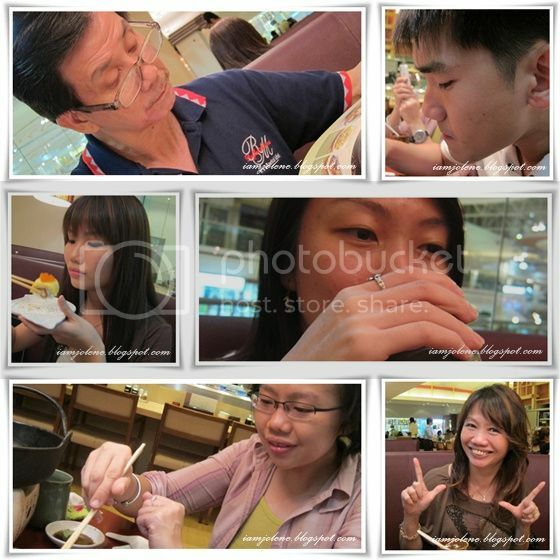 He placed a prawn beside my cheek and I was not even aware till my mother and my eldest sis started snapping away too. Up there, I exacted revenge on him by pinching his ear with my chopsticks. How could we not end a meal with desserts? 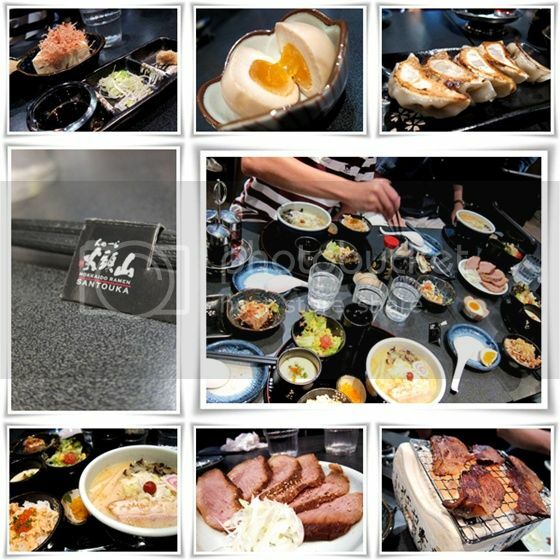 For all the delicious food you see, the bill totalled up to $400+ for 6 people. It sounds expensive but it is well worth the money for the amount and quality of food. Mum: Let's make peace sign. Mum: Let's make a good sign. My poor mum! Even the staff there laughed at the whole scenario. Mum: Eh girl. You fat already. Your face looks fat in photos. Remember to bend your head down." 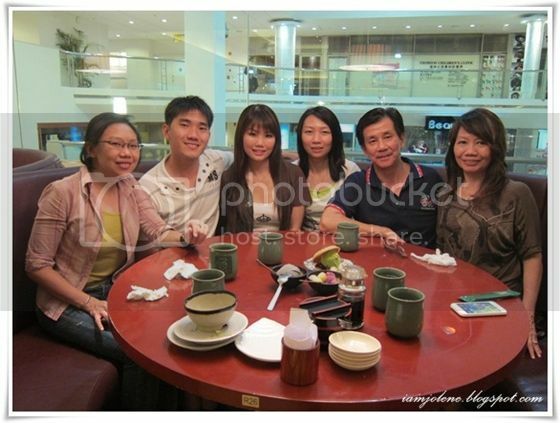 We had Mother's Day dinner for my mother-in-law on the Sunday itself at Santouka (Cuppage Terrace). Santouka is not new to all of us in my family except for my mil. 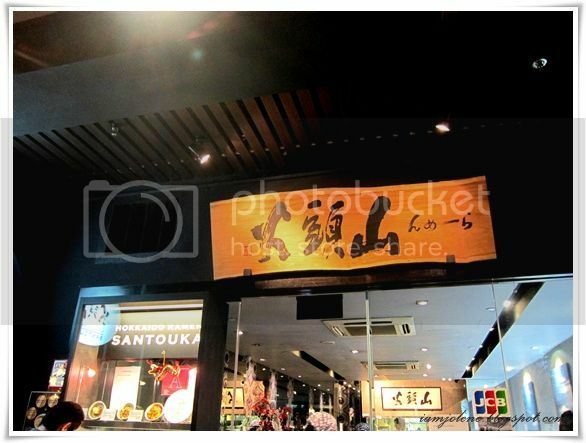 My favourite ramen hails from Santouka. 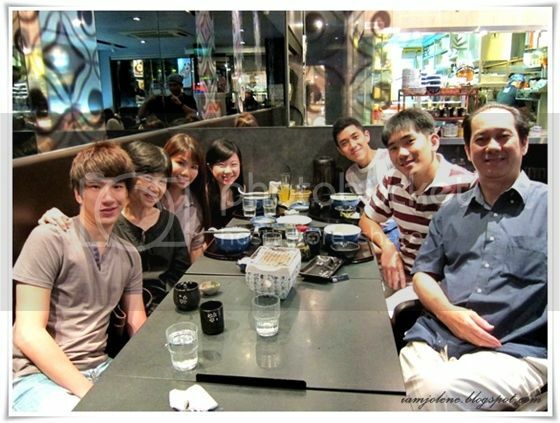 It is my comfort-ramen and after eating Santouka's ramen, I became really spoilt and often criticised all other ramen. My fil, both bil and kh also love Santouka whereas it was my mil's first time. The Roasted Premium Pork Cheek is either a new item or only available at Cuppage for it was the first time I ate that. That dish is HEAVENLY. Really heavenly. I used to love the normal pork cheek from Santouka and after savouring the premium one, I really couldn't go back to the normal one even though it is already of a much higher grade than pork cheeks in other eateries. 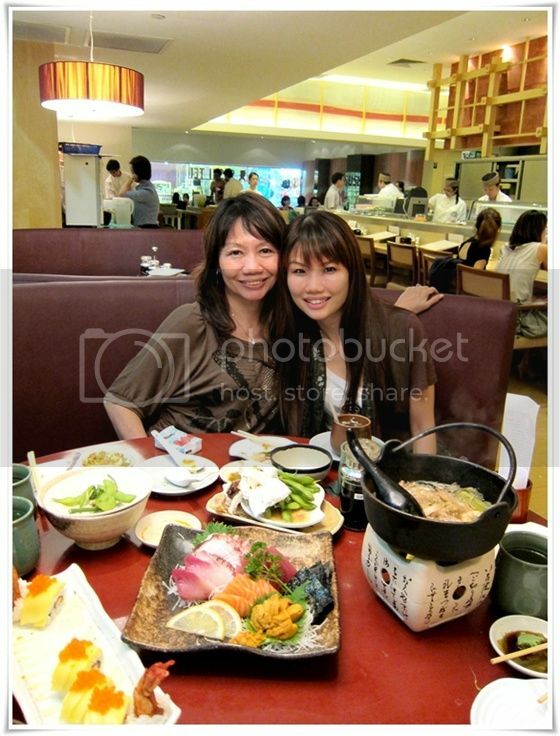 My mil loved the food there and agreed that the ramen and dishes were of better standard than most ramen joints. This side and that side. 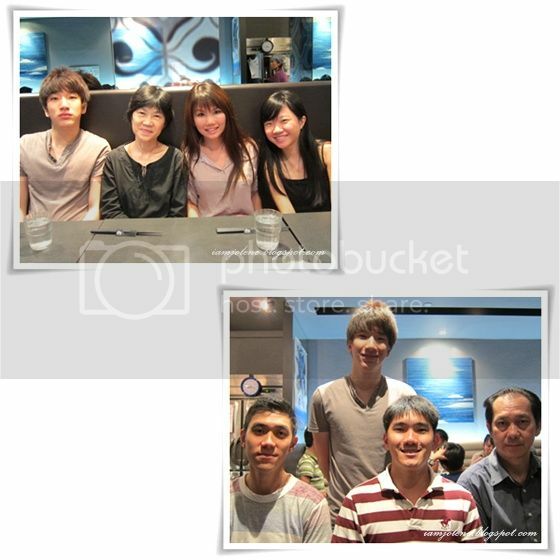 Everyone made fun of my youngest bil act cute/ kiam pa face at the top picture. As for the bottom picture, we all laughed at how everyone had various funny expressions while trying to remain cool at the same time. This post is adapted from purposefairy and The Rules of Life by Richard Templar. I have also substantiated the contents with my own notes. I have been reading up a lot on inspirational texts, be it in the form of books, articles or from online sources and have been enriching myself in ways beyond my imagination. I am gradually trying to be a better person and to also try to use my influence and new-found positivism on the people around me. Successful in this case is not about amassing lots of wealth or being at the top rung in the corporate ladder but rather, people who are living life contentedly and getting the most out of life. How do we get to the level of the former requires no knowledge of quantum physics but rather, good old-fashioned common sense. Yet many a times as what Voltaire once uttered “Common sense is not so common”, it is also rather difficult to practise. The secret to being contented boils down to making a simple choice. We can all choose to do certain things every day of our lives. Some things we choose to do would make us unhappy and some things we choose to do would make us happier. By following a few basic steps, we tend to be able to shrug off adversity more easily, get more out of life and spread a little positivity to the rest as we go. Here is a list of 15 things which, if we give up on them, will make our lives a lot easier and much, much happier. There are so many of us who can’t stand the idea of being wrong – wanting to always be right – even at the risk of ending great relationships or causing a great deal of stress and pain, for us and for others. It’s just not worth it. “Would I rather be right, or would I rather be kind?” -- Wayne Dyer. From personal experience, I have dealt with situations when people are not willing to admit their wrong doings or to apologize. They insist that conflict is due to one person’s fault without realizing it takes two hands to clap. 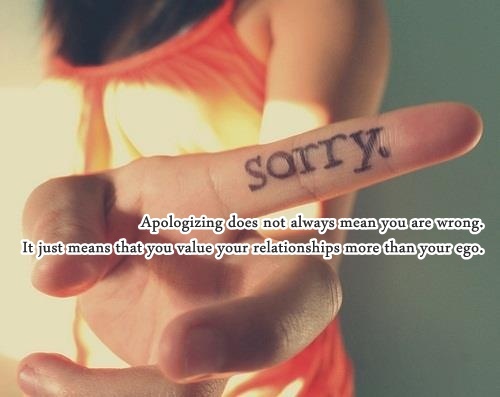 Apologizing does not always mean that you are wrong and that the other party is right. It just means that you value the relationship more than your ego. We say sorry because we are sorry. We are sorry to have become embroiled in an argument or any sort. We say sorry first because we are noble, kind, dignified, sensible and mature. We can say sorry and still be strong. Learning from past experience with my husband, being the first to apologize certainly has many benefits. It gives me the moral advantage, diffuses tension, gets rid of bad feelings and once all those are done, it is much easier to clear the air. On a few instances after I apologized first, my hubby was humbled into apologizing as well. Well, not always. But most of the time. Be willing to give up your need to always control everything that happens to you and around you – situations, events, people, etc. Whether they are your loved ones, coworkers, or just strangers you meet on the street – just allow them to be. Allow everything and everyone to be just as they are and you will see how much better will that make you feel. 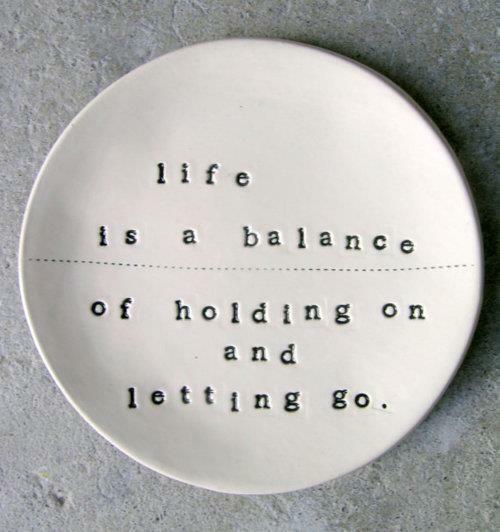 Change what you can change and let go of the rest. All of us love playing the Blame Game. I do that too but I often tell myself to refrain from playing the Blame Game. What has happened has already happened and there is no use pointing the finger at anyone. We cannot change what has happened to us or control others but we can take responsibilities for our own reaction, action, responses and start putting our lives together. From my experience with friends and other people I know of, some people blame their parents for who they are and where they ended up. Some continue this blame and resentment into adulthood. Our parents do the best they can. It might not be good enough for you, but it is still the best they could do. They can’t be blamed if they weren’t very good at it. I believe that even though parenting plays a major part in shaping who we are, we are ultimately individuals with our own mind and we have the ability to change our lives. Holding on to resentment and not forgiving or making an effort to restore things is absolutely pointless. Forgive them and move on. You can rise above your upbringing. How many people are hurting themselves because of their negative, polluted and repetitive self-defeating mindset? Don’t believe everything that your mind is telling you – especially if it’s negative and self-defeating. You are better than that. 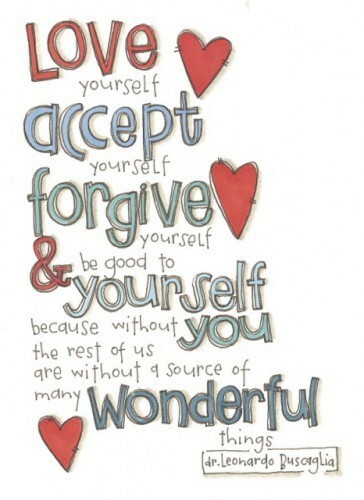 Stop bashing yourself and learn to accept yourself. That means accepting all warts and emotional lumps and bumps, the weaknesses and the rest of it. Accept the way we are initially and slowly build up on it. Once you have picked up the gauntlet of accepting yourself, you would be well on the path of self improvement. You are doing the best you can at this point of time so give yourself a pat on the back and press on. Give up your limiting beliefs about what you can or cannot do, about what is possible or impossible. There are many people who seriously limit their beliefs and dreams. There should be no limit to beliefs and dreams. Plans have to be realistic; beliefs and dreams do not. Give up your constant need to complain about those many, many, things – people, situations, events that make you unhappy, sad and depressed. Nobody can make you unhappy, no situation can make you sad or miserable unless you allow it to. It’s not the situation that triggers those feelings in you, but how you choose to look at it. Never underestimate the power of positive thinking. It is very easy to moan, to complain, and to criticize. It is much harder to always find something nice to say about a situation or a person. No matter how horrible someone is, there is always something about them that is good. Find that good bit and highlight it. It is the same with a situation that seems troublesome. And if all else fails and you really can’t think of anything positive to say, then don’t say anything at all. As tiny complex human beings in a vast complex world, the world is constantly changing and we need to adapt ourselves to fit in. If you are resistant to change, how can you move on and grow? 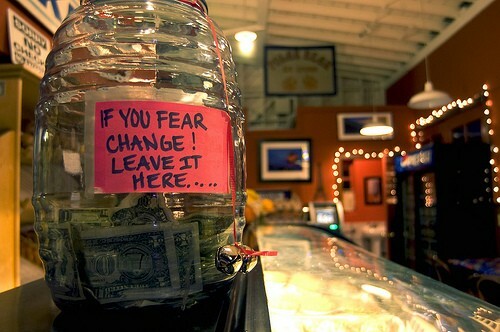 Don't look at change with fear but as a way to learn or adapt to something new. See life as a series of adventures. Each adventure is a chance to have fun, learn something, explore the world, expand your circle of experience and friends and broaden your horizons. Resisting to change means shutting down your adventure which means you shut yourself down. Stop labelling those things, people or events that you don’t understand as being weird or different and try opening your mind, little by little. Minds only work when open. 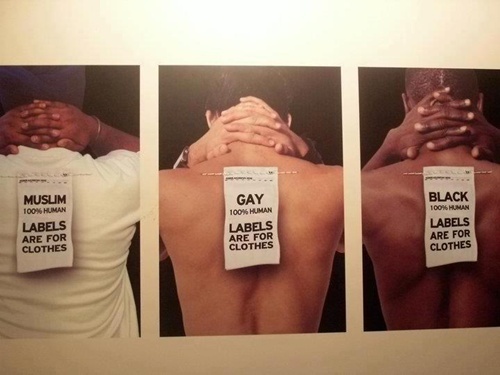 Likewise, you should also never attach a 'label' to yourself. 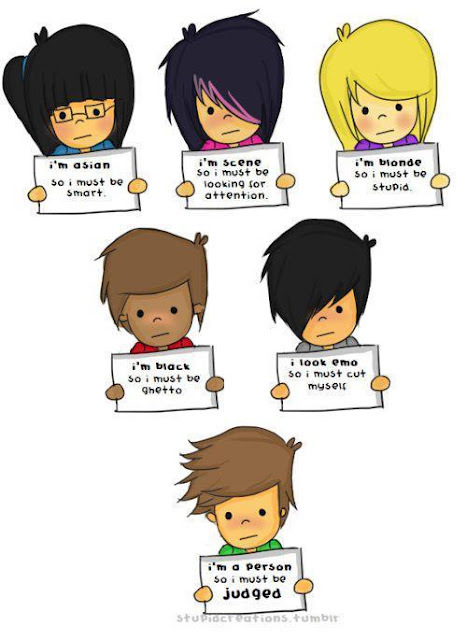 We are all different and we should embrace those differences instead of attaching 'negative' labels to one another. There should be nothing in this life that you are afraid of. If there is, you need to overcome that fear. 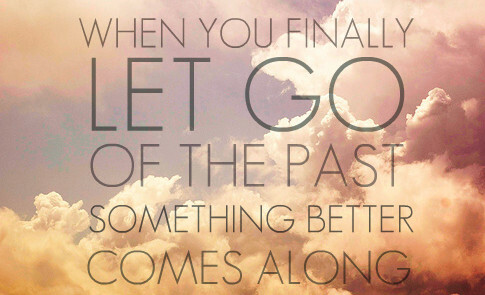 Whatever the past was, it’s gone. There is nothing you can do to change something that has gone and instead you should focus on here and now. You might be tempted to dwell on the past either because it was bad or it was wonderful. Either way, leave it behind as the only way to live is in the present. If you are dwelling on your past because of regrets and guilt, you will only be damaging yourself. We have all made bad decisions that have adversely affected ourselves or the people around us. What we can do is to acknowledge that we have screwed up and to resolve not to repeat the same pattern. Conversely if you are revisiting your past glory days, learn to appreciate the beautiful memories but move on at the same time. We have to learn how to leave the good stuff behind and put our efforts into finding new avenues to explore and new glories to discover. Be present in everything you do and enjoy life. After all life is a journey not a destination. Have a clear vision for the future, prepare yourself, but always be present in the now. Live here, live now, live in this moment. This is a concept that, for most of us is so hard to grasp. It is hard but it is not something impossible. You get better and better at with time and practice. 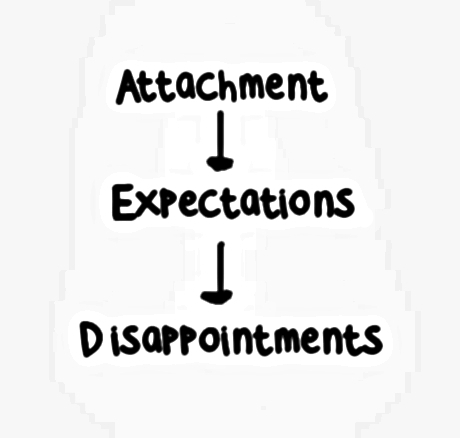 The moment you detach yourself from all things, (and that doesn’t mean you give up your love for them – because love and attachment have nothing to do with one another, attachment comes from a place of fear, while love… well, real love is pure, kind, and self less, where there is love there can’t be fear, and because of that, attachment and love cannot coexist) you become so peaceful, so tolerant, so kind, and so serene. You will get to a place where you will be able to understand all things without even trying. For example, it’s easy to see how we are attached to other people, truly believing that our happiness somehow depends on them. We can also easily see how we are attached to food, pleasure, or comfort. We maintain the belief that our emotional well-being is inextricably linked to having what we believe will make us happy. But holding these beliefs guarantees that we cannot be deeply satisfied, because we will always be anxious at the thought of losing what we believe makes us happy. If we wish to be really happy, we have to give up our attachments. Way too many people are living a life that is not theirs to live. They live their lives according to what society thinks is best for them, to what others like their parents, teachers, friends etc think is best for them. They ignore their inner voice, that inner calling. They are so busy with pleasing everybody, with living up to other people’s expectations, that they lose control over their lives. They forget what makes them happy, what they want, what they need and eventually they forget about themselves.